There is no denying the fact that the things which receive maximum attention are the ones which are done in a style accentuating their visual appeal. When you go to a restaurant, the first thing that catches your fancy is the ambience and decor of the place. It may be a simple layout but there are certain features that add to its high aesthetic value. Same goes for any other item which has been prepared to catch someone’s attention. Wedding Cards can also be said to fall in this category. A wedding card in its simplicity can also give an impression of elegance and some distinct quality if it has been designed articulately keeping in mind the fact that it is much more than a mere card which has the information related to the wedding programme. Rather it exhibits the persona of the host, showcases his unique way of presentation and also leaves an everlasting impression. 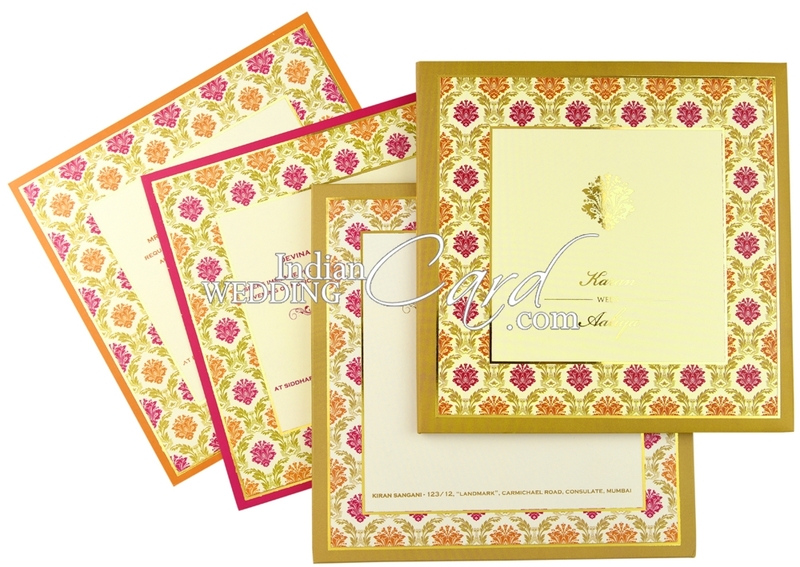 Designer Wedding Cards are the ones which display the artistic skills of the designer in an exclusive manner. These cards are especially designed, most of the time hand crafted to express the exquisiteness of the theme of the wedding which go way beyond their creative pursuits. They are designed with a vision to showcase the host’s exclusive panache setting the mood to be the part of the event which has charm and beauty unmatched. It is unlike any other card that one has come across leading the way to be cherished as ‘a thing of beauty’, which has been created with something more than a creative skill. It also has a heart and soul of the designer who made it and the host who wanted it. Here, it must be mentioned that quality, texture and cut of the paper or fabric also contribute to making a high class designer card. 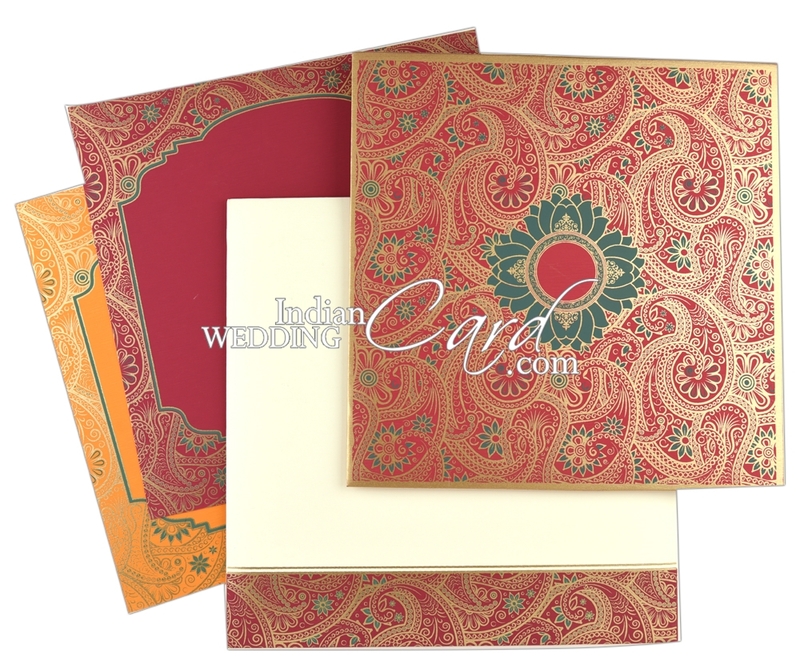 We at Indian Wedding Card have the unparallel range of designer wedding cards which leave your guests awe-struck at the immense beauty and most finely crafted which can be as unique and as royal as Scroll Cards with or without box. Laser Cut cards which are charmingly delicate and dainty in the most angelic manner or the cards with lace and embellishments which set high standards of aesthetic sense. Our Theme based designer cards display the wedding theme in the most appropriate and artistic manner, leaving a overwhelming impression with your guests who would never want to discard or throw away these beauties. In fact, they become a precious keepsake with them which they proudly show off or take inspiration from. We have the most interesting range of paper as we proudly manufacture them to ensure that our clients get nothing but the best, creating a unique experience with them. Visit us and choose from the liveliest and the most vibrant designer cards which speak volumes of the efforts that we put in to come up to your expectations every time. Be it the colour scheme in a layered card or the geometrical shape in a designer card, our endeavour is to create what you desire. 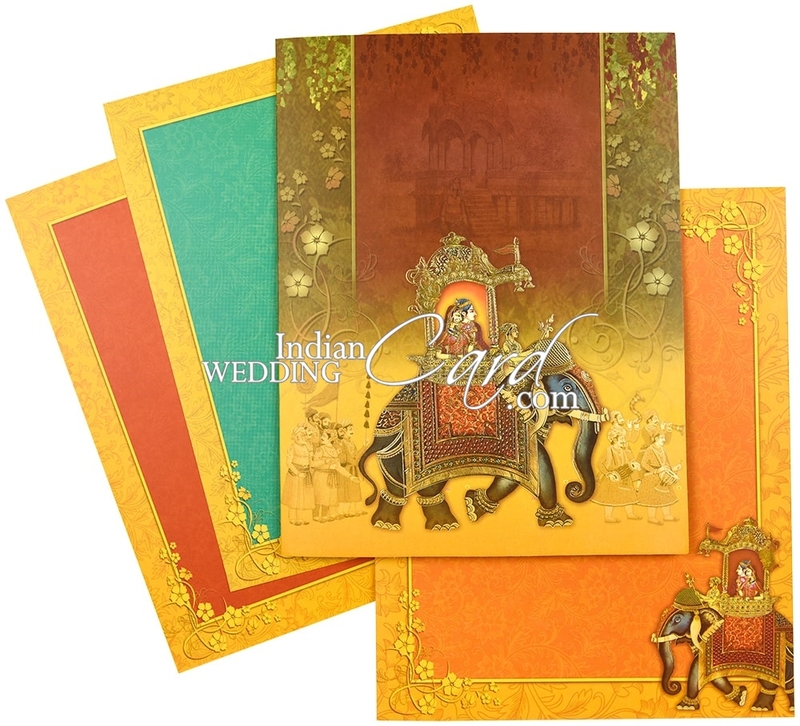 How To Shop For Indian Wedding Invitations? How to Successfully Conduct a Magnificent Multicultural Wedding Ceremony? Why Do Save The Date Cards Hold Importance In The Present Scenario? What Is So Unique About Your Anniversary Invitations E-Cards?